February 8: A B-29 was flown from Boston to within 10 miles of the Los Angeles International Airport without reference to any external information by using an inertial guidance device developed at M.I.T. 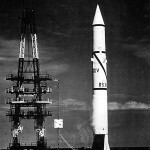 March 13: First launch of the Hermes A-3 from White Sands. March 15: First launch of the R-5 missile from Kasputin Yar. The RD-103 engine (Glushko designed) burned EtOH/LOX and had a thrust of 112,000 lbs. It had a 1200 km range. 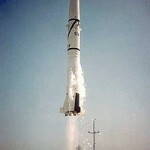 March 30: The Navy revealed that it has put into production a supersonic guided missile propelled by a turbine engine. This was the Regulus, and a submarine had been equipped to launch it. May 29: Edmund Hillary and Tenzing Norgay are the first to reach the summit of Mt. 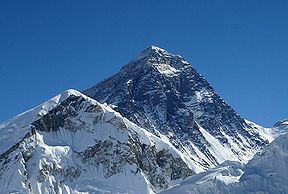 Everest (29,029 ft). August 3: The Fourth International Congress on Astronautics met in Zurich. Dr. S. Fred Singer unveiled his proposal for Project MO– USE (Minimum Orbital Unmanned Satellite Experiment)-the first satellite in the modern sense, to weigh 100 pounds. Eugen Sanger and Irene Sanger-Bredt set forth a proposal for an ultimate photon rocket for interstellar travel. 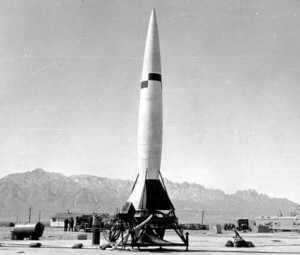 August 20: The first Redstone missile was test fired by the Army at Cape Canaveral. It weighed 61,000 lbs and the engine generated 78,000 lbs thrust. There were 37 test flights ending in November 1958 with 24 successful for a 64% success rate. 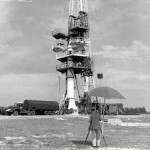 128 were built and it was operational from 1958-1964 as a Medium Range Ballistic Missile with a range from 50-200 miles, based in West Germany. Fuel for the A-7 engine was LOX and EtOH. It was later improved as the Jupiter-C (3 stage) and Juno I (4 stage) launch vehicles. August 28: A liquid rocket engine for the Navaho program was test fired at a thrust of over 200,000 pounds. October 14: The X-10 prototype for the North American Navaho made its first flight. November 20: Scott Crossfield breaks Mach 2 in the Douglas D-558 II at Muroc AFB. The thermonuclear break-through that made possible the construction of powerful warheads small enough to mount in a missile came during the year and led to the recommendation of the Air Force Strategic Missiles Evaluation Committee that the program for the Atlas ballistic missile which had been proceeding with only limited funds since 1951 be redirected, expanded and accelerated. During 1953 Dr. Hubertus Strughold published “The Green and Red Planet: A Physiological Study of the Possibility of Life of Mars”. 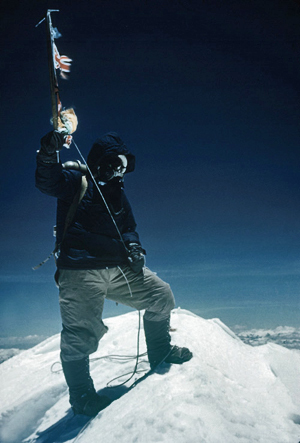 Strughold, H. Comparative ecological study of the chemistry of the planetary atmospheres. JAM 1953 24: 393-399, 469.